Contains ingredients from Milk, Soy & Oat Products. It may contain traces of Egg and / or Nuts and Wheat from Flavours. 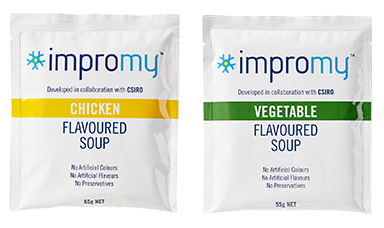 As a Meal Replacement, empty contents of one soup sachet into a large cup. Add 250mL of hot water and stir for approximately one minute until soup has dissolved. Please use caution with hot liquid.